Presma® RXR6 Professional Series 1-6X28 Precision Scope, RGB RXR Glass Reticle. Optics that match with markets premium brands scope’s performance... Clear and Sharp Image formation with all round coverage edge to edge image clarity. 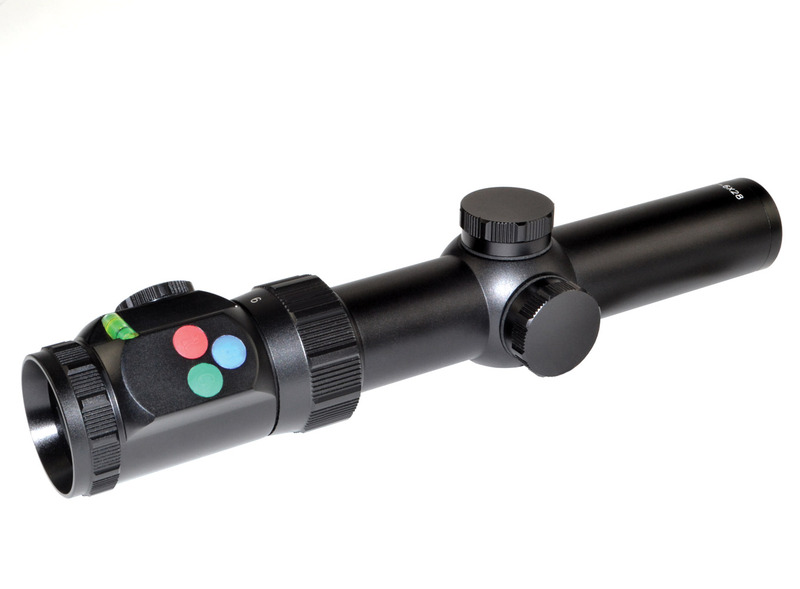 LIFETIME WARRANTY on all Presma Scopes • Emerald coated lens, fully multi-coated, for the most excellent light transmission • One piece 35 mm tube body with Cardan joint design constructed in premium aircraft class aluminum, hard anodized and matte finish for durability • Red, Green, Blue tri-color reticle illumination button on unique 45 degree tube surface with last active color memory function. Automated power off to conserve battery’s life • Ocular Lens equipped with bubble level to align mounting scope and aiming level with unique 45 degree tube surface design that won’t interfere with ocular lens viewing. • QTA (Quick Tactical Adjustment) system applied in windage and elevation adjustment • Pin Tumbler coil spring System design provides better shock absorbability and resistance • Each direction adjust to 80 MOA • RXR reticle has two functions: Quick Targeting Round X circle and range estimation. SFP. • Shockproof, waterproof and fogproof; 100% Argon filled and sealed with O-Ring • Piano keyboard shape engraved grooves on all turrets and wheels’ circumference makes it easy to adjust even when wearing gloves. • Compact design • Lifetime warranty. Presma® RXR6 Professional Series 2-12X44 Precision Scope, RGB RXR Glass Reticle. Optics that match with markets premium brands scope’s performance... Clear and Sharp Image formation with all round coverage edge to edge image clarity. 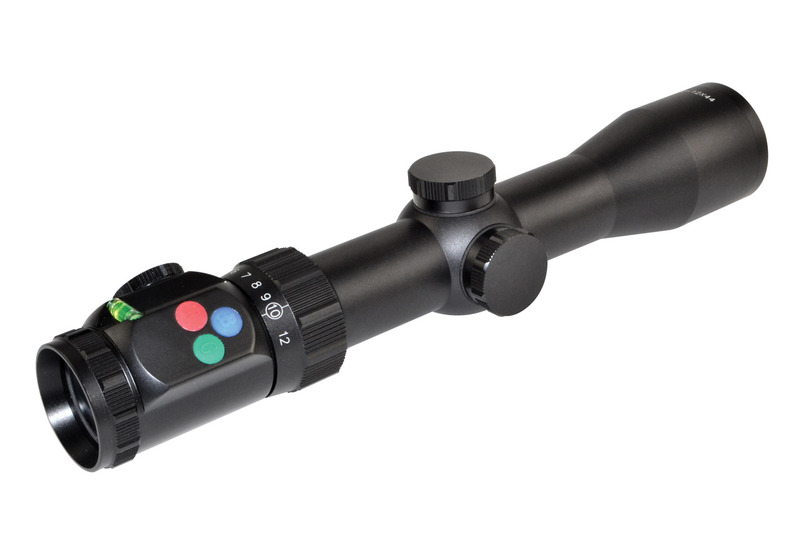 LIFETIME WARRANTY on all Presma Scopes • Emerald coated lens, fully multi-coated, for the most excellent light transmission • One piece 35 mm tube body with Cardan joint design constructed in premium aircraft class aluminum, hard anodized and matte finish for durability • Red, Green, Blue tri-color reticle illumination button on unique 45 degree tube surface with last active color memory function. Automated power off to conserve battery’s life • Ocular Lens equipped with bubble level to align mounting scope and aiming level with unique 45 degree tube surface design that won’t interfere with ocular lens viewing. • QTA (Quick Tactical Adjustment) system applied in windage and elevation adjustment • Pin Tumbler coil spring System design provides better shock absorbability and resistance • Each direction adjust to 60 MOA • RXR reticle has two functions: Quick Targeting Round X circle and range estimation. SFP. • Shockproof, waterproof and fogproof; 100% Argon filled and sealed with O-Ring • Piano keyboard shape engraved grooves on all turrets and wheels’ circumference makes it easy to adjust even when wearing gloves • 44mm Objective Lens for ample light transmission • Lifetime warranty. Presma® RXR6 Professional Series 3-18X50 Precision Scope, RGB RXR Glass Reticle. Optics that match with markets premium brands scope’s performance... Clear and Sharp Image formation with all round coverage edge to edge image clarity. 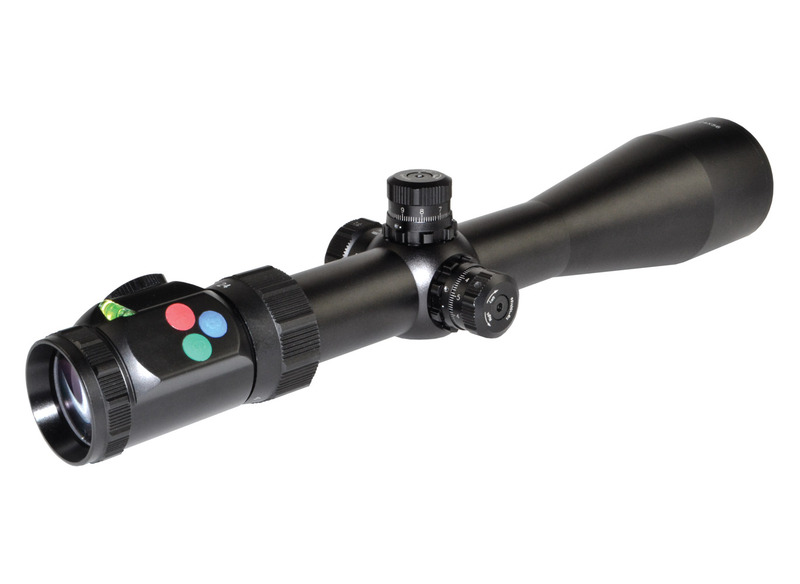 LIFETIME WARRANTY on all Presma Scopes • Emerald coated lens, fully multi-coated, for the most excellent light transmission • Side wheel turret parallax adjustment with range from 20 yards to infinity • One piece 35 mm tube body with Cardan joint design constructed in premium aircraft class aluminum, hard anodized and matte finish for durability • Red, Green, Blue tri-color reticle illumination button on unique 45 degree tube surface with last active color memory function. Automated power off to conserve battery’s life • Ocular Lens equipped with bubble level to align mounting scope and aiming level with unique 45 degree tube surface design that won’t interfere with ocular lens viewing. • QTA (Quick Tactical Adjustment) system applied in windage and elevation adjustment • Pin Tumbler coil spring System design provides better shock absorbability and resistance • Each direction adjust to 40 MOA • RXR reticle has two functions: Quick Targeting Round X circle and range estimation. SFP. • Shockproof, waterproof and fogproof; 100% Argon filled and sealed with O-Ring • Piano keyboard shape engraved grooves on all turrets and wheels’ circumference makes it easy to adjust even when wearing gloves • 50mm Objective Lens for ample light transmission • Lifetime warranty. Presma® RXR6 Professional Series 4-24X56 Precision Scope, RGB RXR Glass Reticle. Optics that match with markets premium brands scope’s performance... Clear and Sharp Image formation with all round coverage edge to edge image clarity. 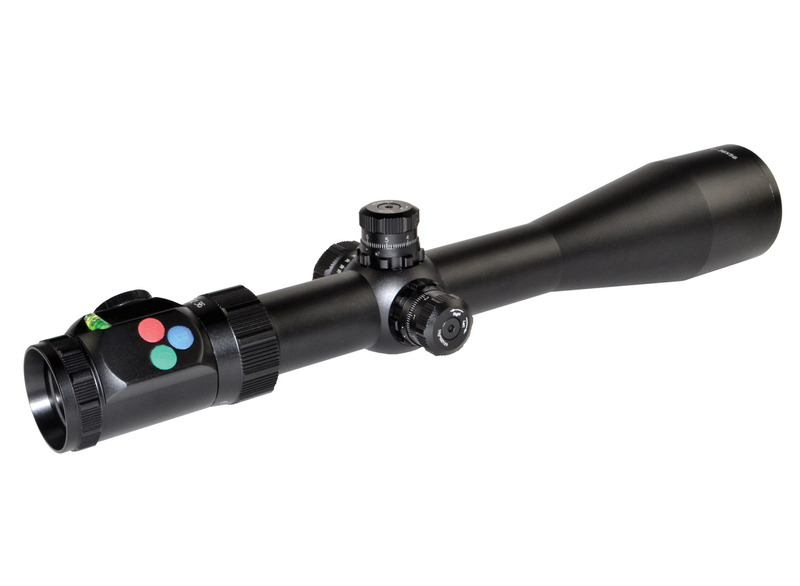 LIFETIME WARRANTY on all Presma Scopes • Emerald coated lens, fully multi-coated, for the most excellent light transmission • Side wheel turret parallax adjustment with range from 25 yards to infinity • One piece 35 mm tube body with Cardan joint design constructed in premium aircraft class aluminum, hard anodized and matte finish for durability • Red, Green, Blue tri-color reticle illumination button on unique 45 degree tube surface with last active color memory function. Automated power off to conserve battery’s life • Ocular Lens equipped with bubble level to align mounting scope and aiming level with unique 45 degree tube surface design that won’t interfere with ocular lens viewing. • QTA (Quick Tactical Adjustment) system applied in windage and elevation adjustment • Pin Tumbler coil spring System design provides better shock absorbability and resistance • Each direction adjust to 30 MOA • RXR reticle has two functions: Quick Targeting Round X circle and range estimation. SFP. • Shockproof, waterproof and fogproof; 100% Argon filled and sealed with O-Ring • Piano keyboard shape engraved grooves on all turrets and wheels’ circumference makes it easy to adjust even when wearing gloves • 56mm Objective Lens for ample light transmission • Lifetime warranty. Presma® RXR6 Professional Series 6-36X56 Precision Scope, RGB RXR Glass Reticle. Optics that match with markets premium brands scope’s performance... Clear and Sharp Image formation with all round coverage edge to edge image clarity. 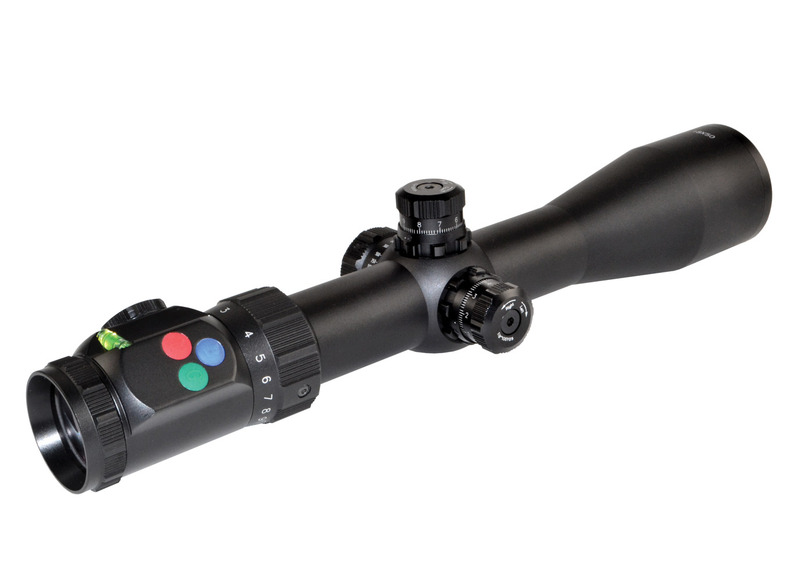 LIFETIME WARRANTY on all Presma Scopes • Emerald coated lens, fully multi-coated, for the most excellent light transmission • Side wheel turret parallax adjustment with range from 15 yards to infinity • One piece 35 mm tube body with Cardan joint design constructed in premium aircraft class aluminum, hard anodized and matte finish for durability • Red, Green, Blue tri-color reticle illumination button on unique 45 degree tube surface with last active color memory function. Automated power off to conserve battery’s life • Ocular Lens equipped with bubble level to align mounting scope and aiming level with unique 45 degree tube surface design that won’t interfere with ocular lens viewing. • QTA (Quick Tactical Adjustment) system applied in windage and elevation adjustment • Pin Tumbler coil spring System design provides better shock absorbability and resistance • Each direction adjust to 20 MOA • RXR reticle has two functions: Quick Targeting Round X circle and range estimation. SFP. • Shockproof, waterproof and fogproof; 100% Argon filled and sealed with O-Ring • Piano keyboard shape engraved grooves on all turrets and wheels’ circumference makes it easy to adjust even when wearing gloves • 56mm Objective Lens for ample light transmission • Lifetime warranty.